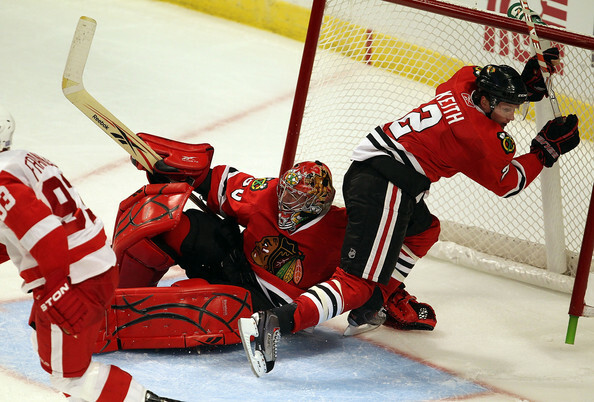 Blackhawks: Championship Hangover or Sobering Schedule? Most of Chicago is having a minor (in some cases a major) coronary because the Blackhawks have lost both of their first two games of the season. If they lose on Monday night in Buffalo, there might be a riot on Madison. So what’s the deal with the defending champions? Did they party all summer? Are there too many new faces? Or is this just the reality of the NHL? For my money, it’s a little of all three. But something most fans don’t want to admit is that the Hawks’ schedule is not lined up for an easy start to their title defense. Last year, the Blackhawks stormed out of the gate to a solid 8-4-1 record in October. This year they’ve started 0-1-1, and people are worried the wheels are going to fall off. However, if you look back at how the Blackhawks took off last year, you’ll see that it wasn’t easy skating for the would-be champions, either. 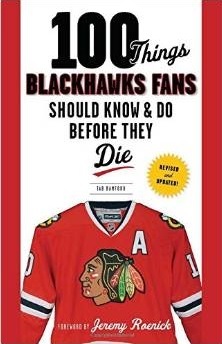 In October 2009, the Blackhawks were 4-3-0 against playoff teams, and 4-1-1 against teams that didn’t qualify for the postseason (Florida, Edmonton, Minnesota, Calgary and Dallas). They also had to come back from a five-goal deficit against Calgary (legendary) for one of those wins, which came just two days after the longest shootout in franchise history (nine rounds) against Colorado. To begin this year, the Hawks travelled to play a Colorado team that gave them fits last year and nearly knocked off San Jose in the first round of the playoffs in the spring. They then came home to face one of the teams most analysts believe will represent the Western Conference in the Stanley Cup Finals this year, the Red Wings. On Monday night it doesn’t get any easier as the Hawks travel to Buffalo to face the reigning Vezina Trophy winner, Ryan Miller, and last year’s Calder Trophy winner, Tyler Myers. 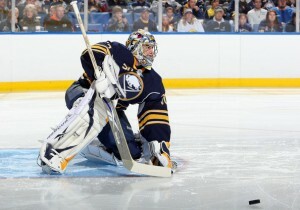 The Sabres are 1-1-0 to start the year, and won the Northeast Division last year. Also on the schedule in October are two of the other favorites in the Western Conference, the Vancouver Canucks and Los Angeles Kings. The Hawks also get the red-hot Edmonton Oilers at the end of the month. The schedule doesn’t help the Blackhawks out at all. Combine to the rough schedule the reality that the Hawks are playing without their number three defenseman (and number two power play quarterback) in Brian Campbell and lost to a loaded (and healthy) Detroit team by only one without both Campbell and Patrick Sharp, and Hawks fans should temper their alcohol consumption and consider the context of the losses. Were the performances perfect? Far from it. But there were some aspects of the game (Nick Leddy, the fourth line, Marian Hossa) that have been very good so far. But expecting a team that’s banged up to steamroll over very good, playoff-caliber teams isn’t realistic even if the team is at full strength. It might be a rough October, Hawks fans. But the good news is that the season doesn’t end until April. In watching these first 2 games, I’m getting that same feeling like last year – this is something special. Once this team gels & gets comfortable with each other they very well may be better than last years team….. Just my opinion…..
Hopefully, the season won’t end until June!